It is not as if my wife and I intentionally seek to go off the grid. 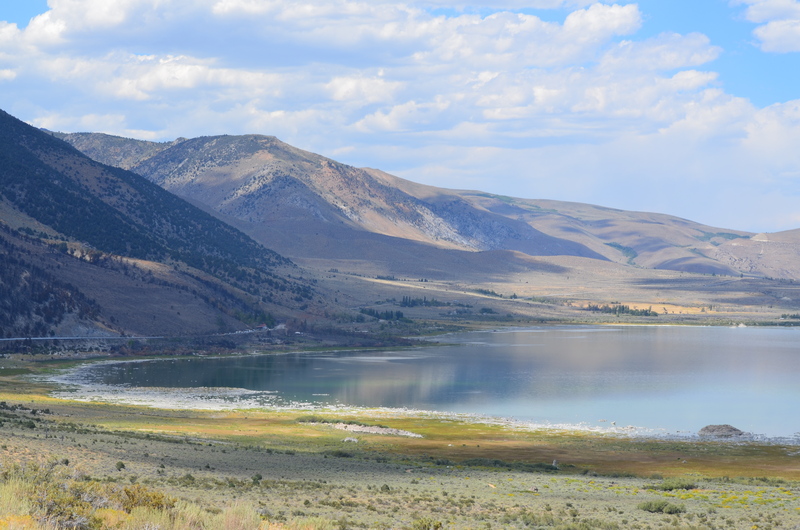 Rather, we possess a taste for mountains, National Parks, and the geologic oddities of the western US. As it happens, these type of locations tend to lack full support for the modern Internet. These locations also drive my teenage children into conniptions, and give my wife and I insight into their digital lives. 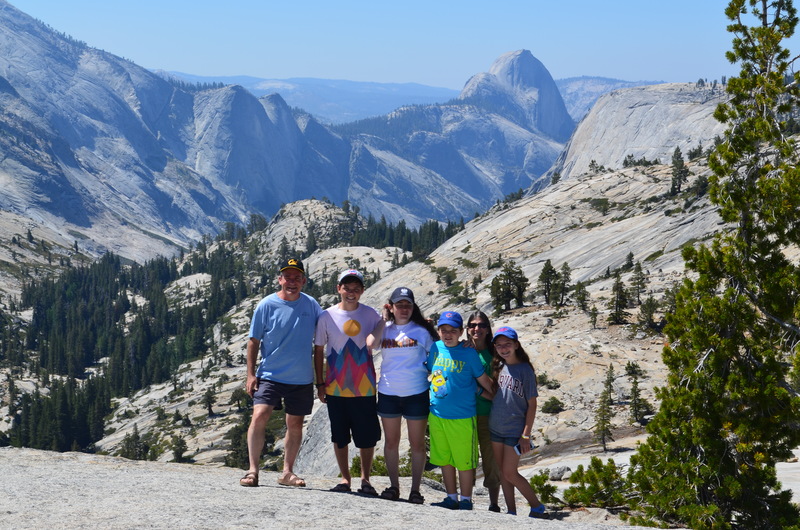 That is the big theme of this post, which is a brief travelogue of our recent family trip to Yosemite. If you have never heard the phrase, “going off the grid,” don’t be alarmed. The phrase refers to spending time away from email and social media, as well as other forms of digital life, and sometimes speakers give it a slight tinge of irony because nobody who uses the phrase really goes off the grid for very long. The phrase itself originates from rebellious behavior of an earlier era, when back-to-nature hippies lived in communes, imitating the Amish, preferring a lifestyle free of electricity, gas, and water utilities. The rebellion has disappeared, and today the phrase carries a light connotation when it refers to digital technologies. If anything, among those of a certain age, it is a declaration of independence from digital technologies. When such a person says they are going off the grid that means they are not answering email, no matter what the topic. Why go off the grid? unusual geology. Not surprisingly, its location also creates a perfect storm for going off the grid. It is far away from any major urban center, and it is enormous – over 760 thousand acres. 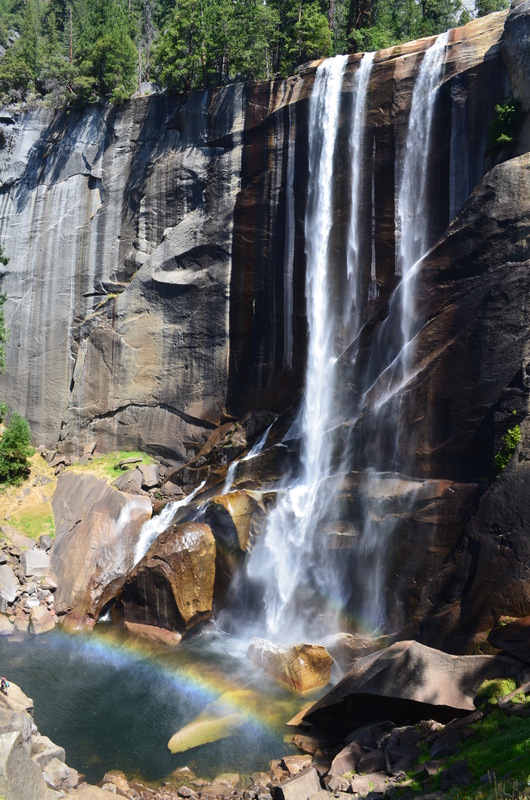 No major highways run through Yosemite Valley, or near it, and only one major road – Tioga Road – cuts through it along the east west route. The only north-south route is on the very western edge of the park. 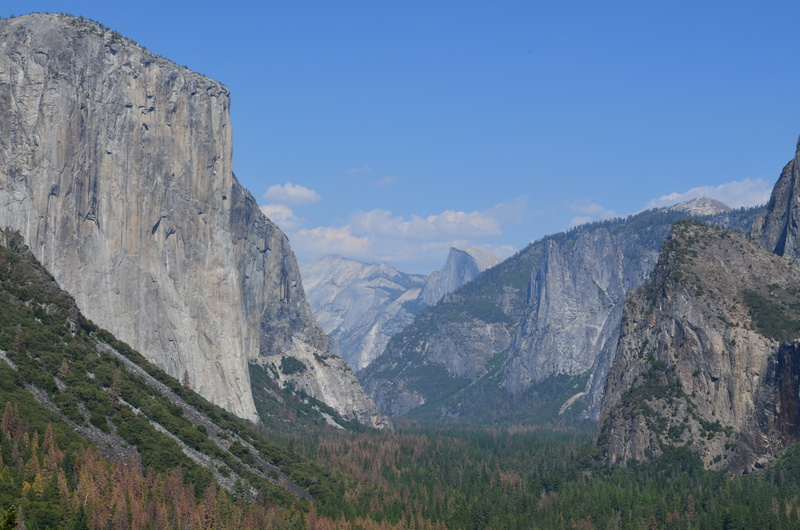 That layout would challenge any network: it is very expensive to extend infrastructure from any neighboring area to Yosemite. And there is not a large enough permanent population in the area to justify investing in the expensive infrastructure. Inside the park you won’t find cable lines, or Internet backbone lines, or DSL on the phone lines. Satellite is the only option in many locations. Even the cellular service is limited. 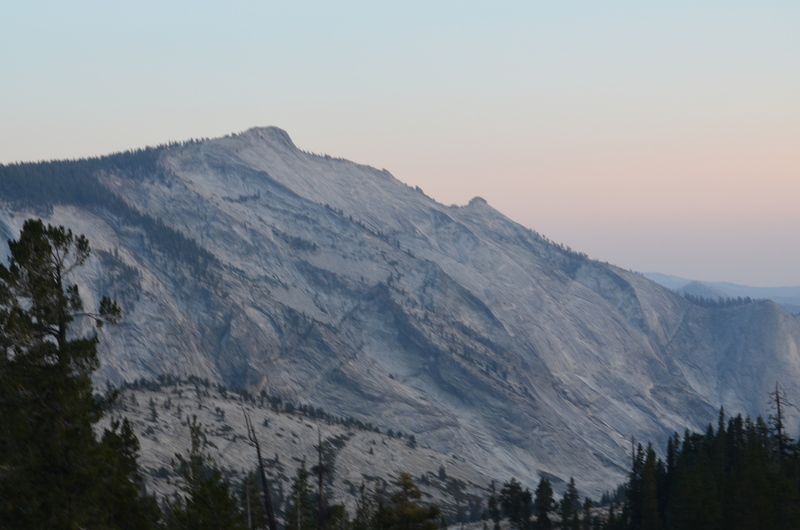 There is one cell phone tower in Yosemite Valley, and another on Tioga Road. Most of the park has no coverage. We did not know this before we drove to a rental house, which was in the southwestern part of the park. We inferred it from experience. The trip did not start well. 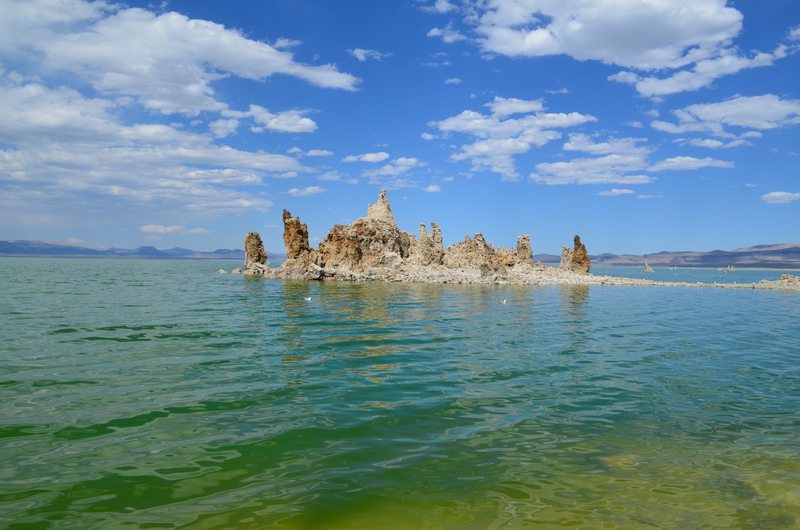 We lost cell service dozens of miles away from our destination, and my children grumbled from the back of the rented minivan. They were none-too-pleased when they opened the door and discovered the house lacked Wi-Fi. Before they could further berate their father for booking a cabin in such a backward location, my older son made a discovery, the cabin had satellite television from DISH. He quickly learned that DISH had three channels of Olympic coverage. It was not as satisfying as three open windows on his laptop, but he settled for it. So did the other kids. In a weird way my wife and I came to appreciate watching the Olympics each evening around the television. We did it as a family, and without the aid of digital technologies, which made it more social. Here is what I mean: Digital technologies have removed a social dimension of family life. Today my kids comfortably navigate Snapchat and Wikipedia and all of social media, except Facebook, which they and their friends largely left after my generation joined. My kids used to tease me about not texting as much as they do, but the playfulness passed long ago. At this point my children do not enjoy introducing me to a new apps for the smart phone. The regard me as antiquated. Going off the grid prevented my children from burying their faces in their parochial online worlds, so we all watched the same televised sporting events. This became a shared family experience. Each evening, after a day in the park, we sat down to the thrill of victory and the agony of defeat, and we talked about it. From a parental point of view, this was a very satisfying family experience. Parenting often involves subtle choices over which battles to fight and when. It turned out ok. They did look up from time to time, and I nudged them with leading questions about glaciers and granite. They feigned not listening, as all teenagers do with their parents, and occasionally they surfaced with dry observations or ironic comments. This is our normal family dynamic, and so it seemed to go reasonably well. Eventually my youngest child caught on to one theme – the answer to every geologic mystery was “The Ice Age caused it.” The other kids laughed every time he gave the same answer. That convinced me that the main message had gotten through, despite their feigning. 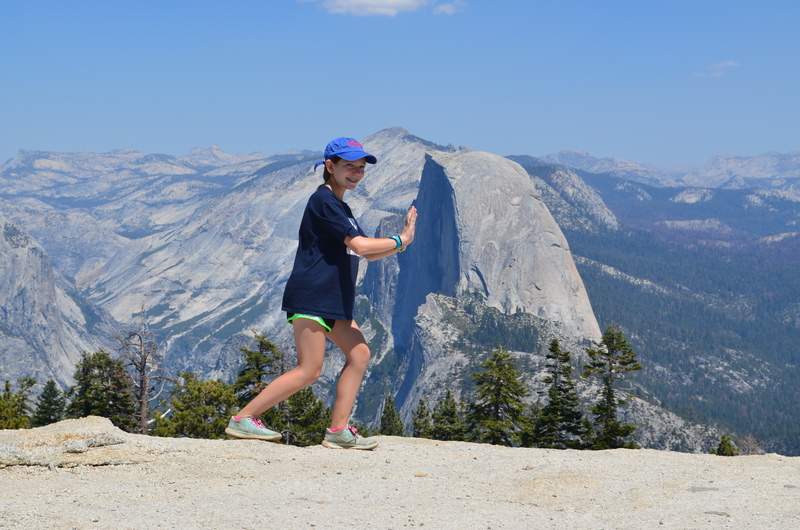 Later in the day, as we hiked up Sentinel Dome to get another view (see view from top, with daughter on the right), my oldest son confessed that he had played Pokemon Go on Glacier Point, and he found it worked on that dome too. I instantly had visions of him spending his entire week in Yosemite with his nose buried in his phone, muttering “I found another one!” Suppressing my parental fears, I took a deep breath, and asked him what he caught. I am glad I asked the question. It would become a frequent topic of conversation during the week. More to the point, I came to appreciate that Pokemon Go became a filter through which my son experienced the park. The app worked in every location where LTE worked. It motivated my son to understand the park’s layout. His siblings found it amusing and they engaged with him about the experience. 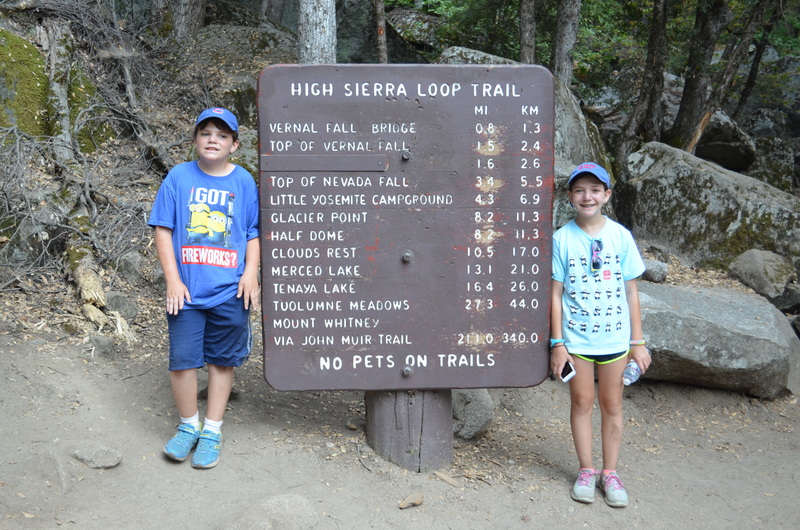 When we hiked up Vernal Falls and Nevada Falls, for example, he pulled up a virtual map of the trails. 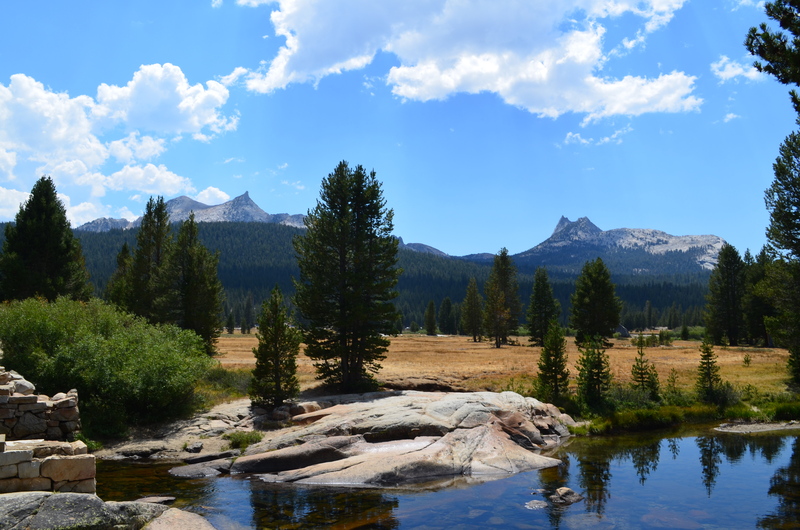 He tried it in every popular location – Mono Lake, Mirror Lake, Tenaya Lake, Tuolumne Meadows – any place where cell service supported it. He bagged his first Pickachu (ever) at the Mono Lake Visitor Center. A few times he showed me and his siblings where the creatures lurked. It was rather astonishing how engaged he became. By the end of the stay my son had a mental map of every trail we hiked in Yosemite, and the cell phone service overlay that supported the app on the trails. This filter made him appreciate details about the landscape. We spoke about the ways the glaciers cut the granite, and he understood the geometry as well as he understood any virtual landscape. By the end of our stay I half-expected him to go back to the cabin and recreate the landscape on MineCraft. One other thing led me to check my righteousness. My own behavior was no less obsessive. About five minutes from our cabin, the rental company had set up Wi-Fi service with a satellite link and a (rather slow) wireless router. Any renter could go there and use the service after calling the home office for the password. Like most fathers of teenagers, I wake up before my kids, so on three mornings I managed to take a cup of coffee and my laptop, drive to that spot, and collect email and read the news. There was a little picnic table where I could sit. A leisurely Internet Café’ it was not, but it was adequate. On the third such occasion, near the end of our stay, I was joined by another middle aged man with his laptop. We both looked up at each other as email slowly downloaded. We quickly established the universal truth – his teenagers slept in as much as mine. We also established digital kinship: neither of us felt guilty coming to this spot. Then he let loose with what was on his mind. His kids stared at their phones instead of the most beautiful scenery in the world. I smiled and nodded. His kids did not appreciate his words, and called him a hypocrite. He defended his email use as “business”, which, in his view, made it different from “social media.” His children failed to perceive the difference. I nodded again. This was familiar territory. Truth be told, I wondered where he was going with the story, and wondered what lessons he had learned. My wife and I had come to a (somewhat peaceful) coexistence with the digital life of our children during the vacation. Different parental choices could have led to different outcomes. I wanted to learn from the contrast. Long story short, his diatribe took an unexpected turn. Instead of building to an angry crescendo, he grumbled with a surprising sense of resignation. His kids had won the day by whining that “Debbie does it as much as we do.” Debbie was his girlfriend. Translation: his girlfriend also used social media as much as his children, and he could not convince her to change her behavior. He had given up the fight. I recognized the archetypes. Every self-aware father knows about the lack of paternal authority with teenagers, and that was no less so with the governance of digital technologies. His authority was further undermined by the behavior of the maternal figure, who sided with his children. All confrontation was fruitless. I wished him luck. I came back and told my wife about the conversation, and she smiled. She also got my message: I appreciated that her approach to data was largely compatible with mine. I had the last laugh. I knew some tricks for getting back on the grid that my kids did not. 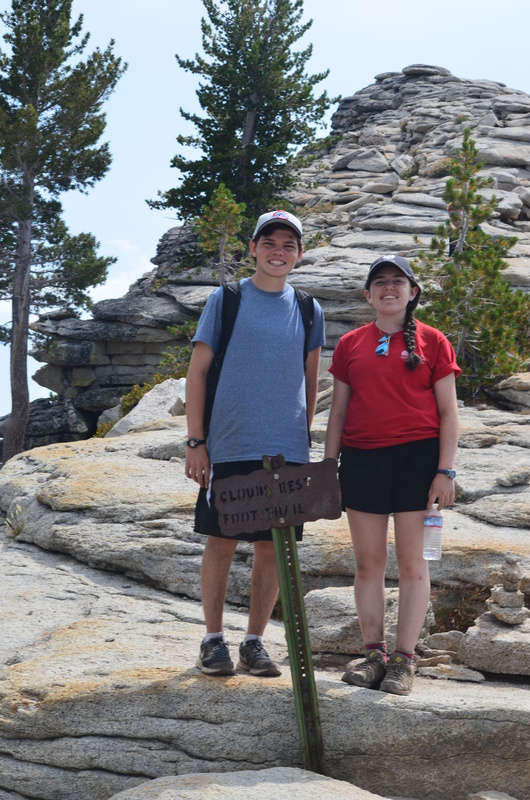 Near the end of the trip my two oldest children and I undertook an ambitious hike to the top of Cloud’s Rest (see photo on the left) – 14.4 miles round trip and almost a 2000 foot climb, ending at 9700 feet above sea level. 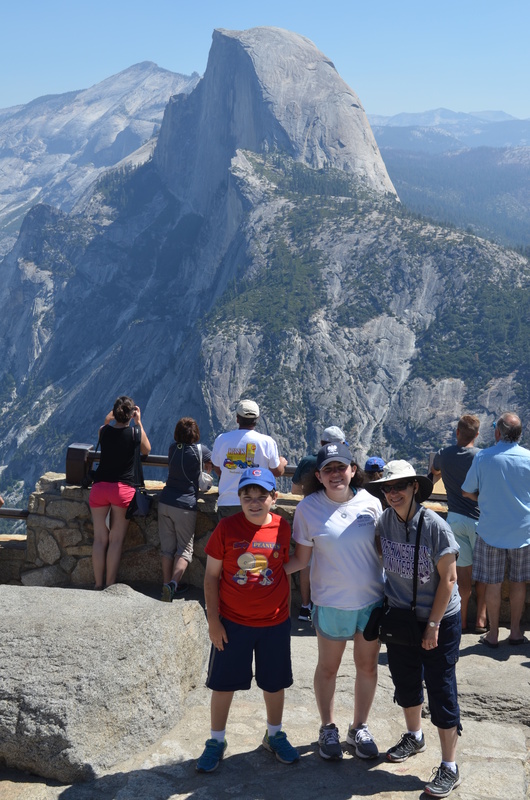 It was well worth the effort, as it afforded a more spectacular view of the park than at Glacier point. (I could wax for some time about the wind and sun and the flora, but this blog is devoted to digital topics, so I am sticking to digital, ok? Just look at the pictures in this section.). We made a plan that depended on sending a message. Here is why. We hiked together for the first part of the climb, which allowed everyone a pretty good view of the valley. 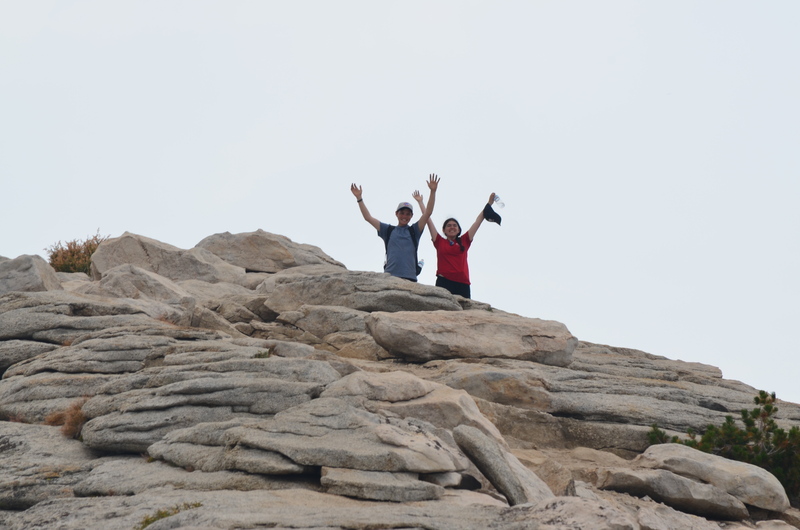 Then the two older children and I took off at a strenuous pace for the summit, while my wife and two younger children took a more leisurely route back to the car. 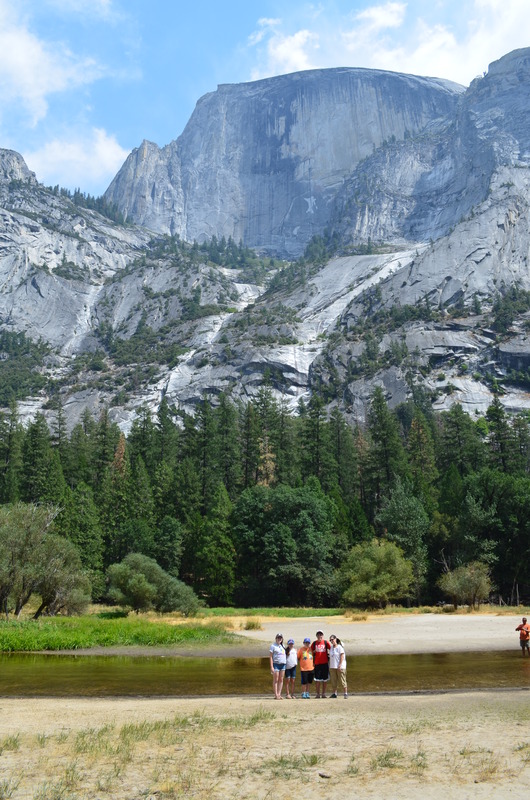 They intended to drive to Tenaya Lake and enjoy the rest of the afternoon. We agreed to meet at the trail head. How would we make sure to be there at the same time? 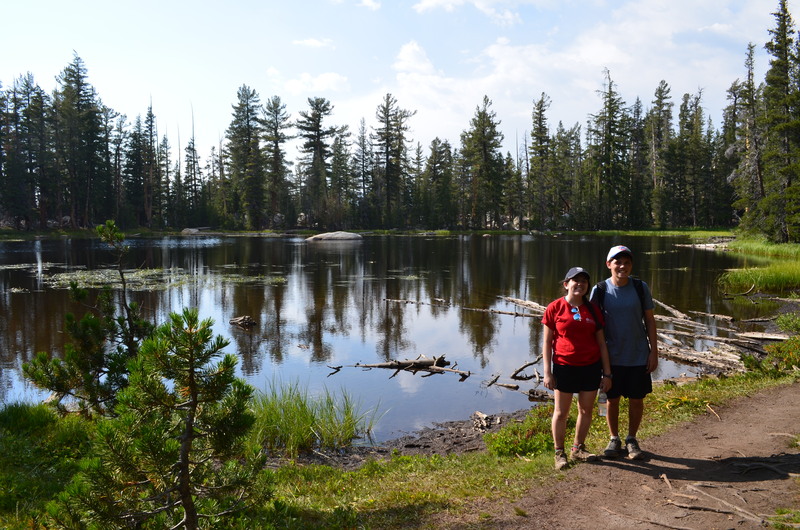 We had experienced good reception at our lunch spot, so we agreed to text my wife when we got back there, which would let her estimate when we would arrive at the trailhead. 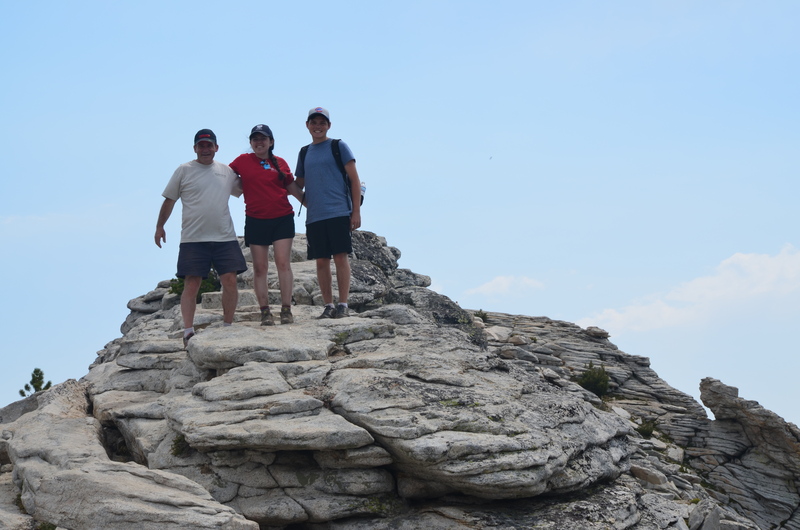 My kids out-hiked me to the summit, and I was proud of them for that. 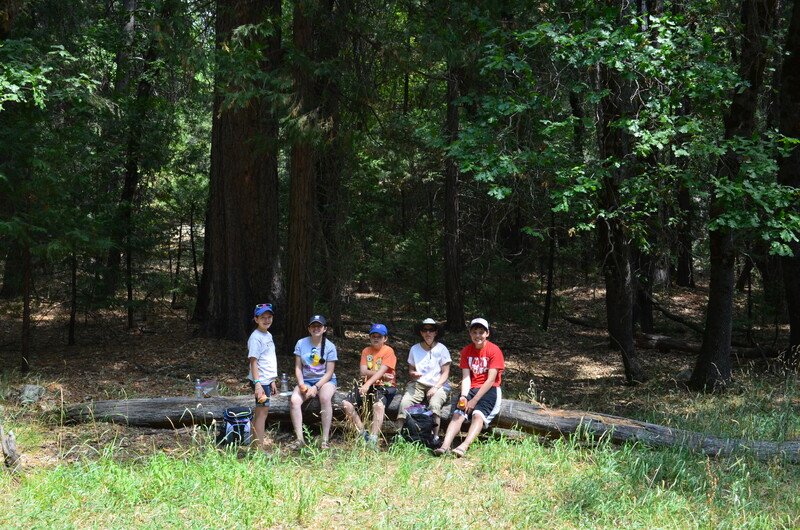 However, the summit was at mile 7.2, and we had to go back the way we came. After more than 11 miles, and with a couple more to go, their youthful spirit had diminished. That was when we got back the key spot. We were all exhausted and ready to finish. The texting did not go so well, and a mini-crisis ensued. My wife texted instructions we did not understand, and the pictures she texted – about how not to get lost – did not go through. There was inadequate bandwidth. She did not respond to our queries. We waited for her response, and none came. The sun was setting, and we had to walk more than two miles, and descend a thousand feet of elevation down the trail to the trail head before dark. We finally gave up, not knowing whether my wife had gotten the message or not. My kids were worried. I reasoned that my wife would show up eventually. However, I was concerned that it could get cold as the sun set and we waited at the trail head. On the way down our smart phones showed some reception again (due to line-of-sight connection with the tower in Yosemite Valley). My kids said they had one bar, but not data. Their texting failed. I looked at my phone and it had two bars. That gave me an idea: Voice cellular networks were built to be robust, especially in challenging situations like low-density geographies. The engineering deliberately trades off voice quality for reliability and distance. I guessed that a voice call might go through even though data messages had not. This had not occurred to either of my kids. They had tried texting over and over again, and without success. Nobody had tried to do the old fashioned thing, push the virtual buttons and use their voice. I asked the kids to stop and rest, so I could try a phone call. My first attempt went to voice mail, but the second attempt led to ringing and my wife answered with a surprised “Hello?” I greeted her back, and explained that we did not understand her text. And so she explained herself. We also told her when to expect us. A three minute conversation took care of everything. believe the phone call worked in the middle of the trail.” I shrugged and smiled. There was no need to deliver a lecture on the comparative properties of voice and data over long distances. Like parenthood, much of married life involves subtle choices over which little triumphs to celebrate and when to remain silent. And you’ll even have a handy reminder of your holiday when all your texts turn up a week later!